If you’re a really old time gamer, you might remember the 1980 title Battlezone. At that time, it was considered the first VR arcade game due to its first person pseudo 3D graphics; a version called The Bradley Trainer was even designed for use by the US Army as the first VR training device. UK studio Rebellion Developments announced back during E3 2015 that a Battlezone reboot is now being developed for PlayStation VR and Oculus Rift, and we’ve had the chance to speak with Tim Jones (Head of Creative) during Paris Games Week to learn a few more details on the game. During Sony’s Press Conference at PGW, Battlezone was announced to be releasing first on PlayStation VR; it’s also been confirmed to be among the launch line-up. 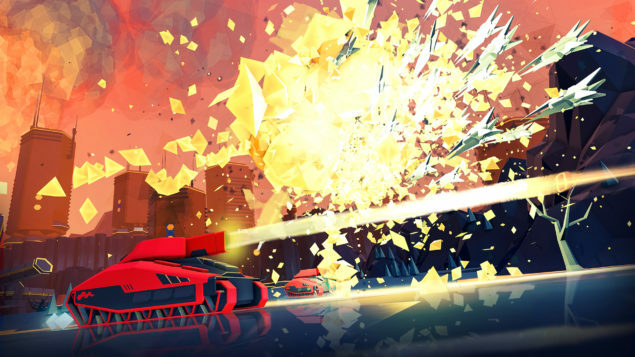 Jones said that Rebellion is very excited to be working with Sony so closely, adding that PlayStation VR is “really exciting” technology that’s brilliant to work with and the team is having a great time using it for Battlezone. When asked about the frame rate Rebellion is targeting for Battlezone, Jones explained that having a smooth frame rate is absolutely crucial to a great VR experience and Rebellion has chosen 60 native FPS bumped to 120 via reprojection. I’ve also inquired whether Battlezone will use the PlayStation Move controller like many other PSVR titles, but even though Rebellion has been prototyping with it, for the moment they’re focused on the DualShock 4 controller because according to Jones it’s a natural fit for vehicle movement; however, they haven’t ruled it out yet. As for the game itself, there will be a campaign with “lots of replayability”; Jones also gave a pretty huge hint that multiplayer will be featured in the game, saying that Battlezone is powered by their own Asura engine which is very much focused at its core on networking and multiplayer technology. There will be many different environments in Battlezone with lots of visual variety; I’ve asked about the number of tanks and while there is no definite number yet, there will be a wide variety of different enemies and tank styles to choose from. PlayStation VR is launching in the first half of 2016, so that’s when Battlezone should become available. On their official FAQ, Rebellion assured fans that it’s looking into platforms other than PC & PlayStation 4 as well, which seems a hit to an Xbox One version of the game. 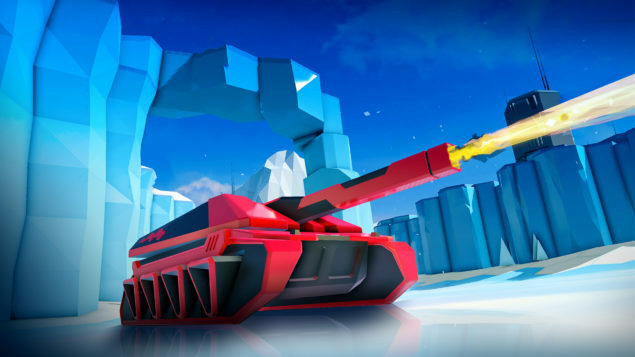 Battlezone is a VR title coming first to PlayStation 4 and then later on Steam for PC [TBC], however Rebellion has always been a multi-platform developer and we’re looking into other platforms too. While we can’t confirm anything yet don’t be surprised if we add to this list in the future. As for other VR devices, those are a possibility as well; in this case, the hint seems to be referring to the HTC Vive. We’ve already confirmed support for both PlayStation VR and Oculus Rift ™, but we are looking at the potential of other VR platforms too – though we can’t confirm anything right now. Look forward to our Battlezone hands-on report along with other PSVR demos soon; in the meantime, you can check out the latest Battlezone trailer below.